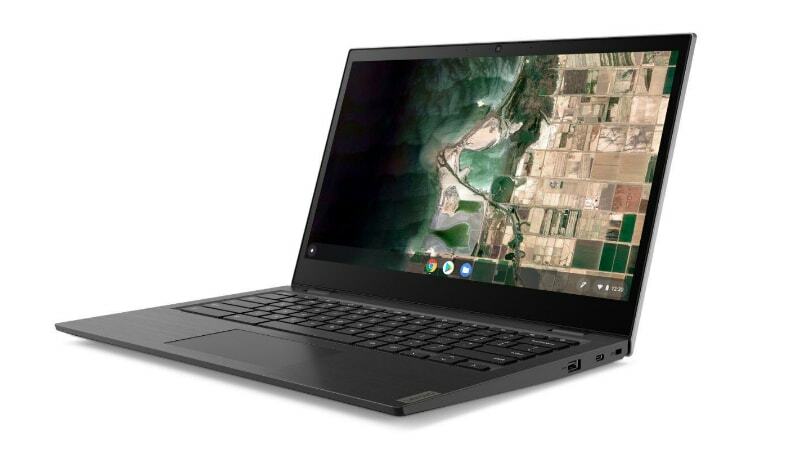 Lenovo 14e Chromebook Enterprise has been unveiled at Mobile World Congress (MWC) 2019 in Barcelona, Spain. Powered by a dual-core AMD A4 processor, the new Lenovo Chromebook is specifically designed for enterprise customers. The Chinese giant has provided a 14-inch full-HD display panel. The Lenovo 14e Chromebook Enterprise also comes with a spill-resistant keyboard and sports an aluminium build. The enterprise-focused Chromebook additionally sports optional touchscreen support to enhance the usability for first-line workers and business users. The new model will go on sale in the US with a price tag of $279 (roughly Rs. 19,800). Among other features, the Lenovo 14e Chromebook Enterprise features a 14-inch full-HD IPS display that comes with optional touchscreen support. It is powered by a dual-core AMD A4 processor clocked at 2.5GHz, coupled with 8GB of RAM. For storing content, the Lenovo 14e Chromebook Enterprise has 64GB of eMMC storage that is expandable via microSD card. Lenovo has provided Google’s Chrome OS that was initially designed for students but reached enterprises through the Chrome Enterprise programme back in August 2017. Further, there is G-Suite for Enterprise. The Lenovo 14e Chromebook Enterprise also packs a 57Wh battery that is touted to deliver up to 10 hours of backup on a single charge. On the I/O front, the Lenovo 14e Chromebook Enterprise has two USB Type-C ports, two standard USB Type-A ports, and 3.5mm headphone jack. One of the USB Type-C ports can also be used to charge the Chromebook. Moreover, the Chromebook has Wi-Fi 802.11ac and Bluetooth v4.2 in terms of wireless connectivity. The Lenovo 14e Chromebook Enterprise measures 328.4x225x17.7mm and weighs 1.48 kilograms. Besides, the new model has Dolby Atmos sound integration.